Say goodbye to YAML and reduce the complexities of Kubernetes deployments with repeatable, automated deployments that scale. Kubernetes is a fantastic platform for managing containers and scaling applications, but with it brings complexities. Spinning up clusters and deploying your applications and services has a steep learning curve. Not a kubectl and Kubernetes deployment YAML expert? 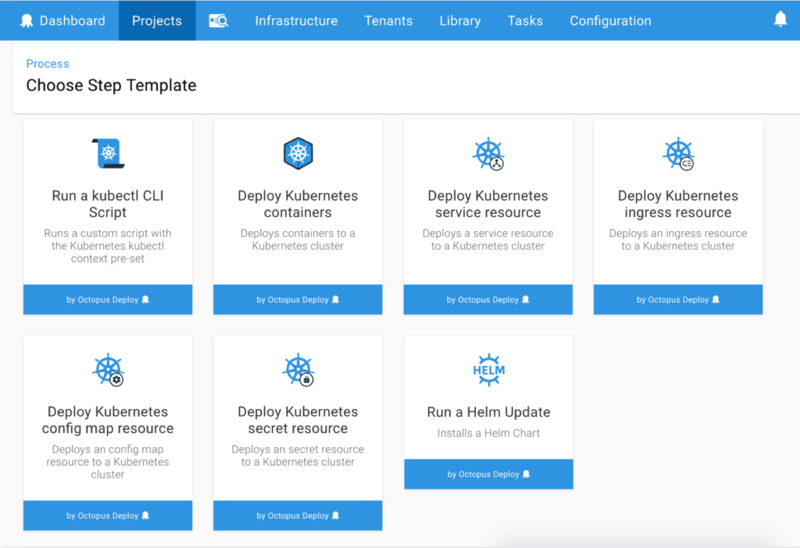 Octopus makes this easier with rich, opinionated step templates that guide you through your first Kubernetes deployments yet give you control as you grow. 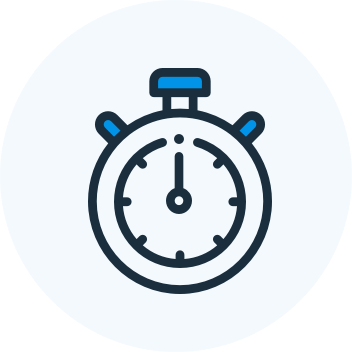 You can work with as much or as little YAML as you prefer and time-saving deployment strategies save you time and frustration. Octopus offers rich, opinionated deployment templates that hide the complexity of Kubernetes deployment YAML config. This makes it easy for your team to start working with Kubernetes and grow with the platform. Want more control? Octopus also includes steps templates that give you full control to manage every detail with kubectl custom script steps. You can choose to use as much YAML as you want. We do the hard work, and you can focus on building great applications. 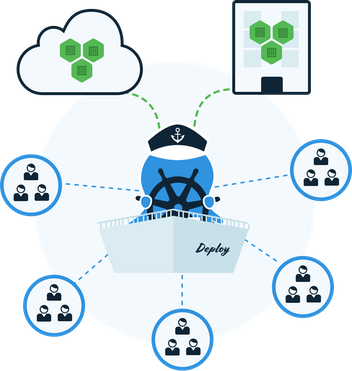 Ship your containerized applications with built-in deployment strategies that work every time. Pick the strategy that works best your team. Octopus has you covered for all your Helm Chart needs. 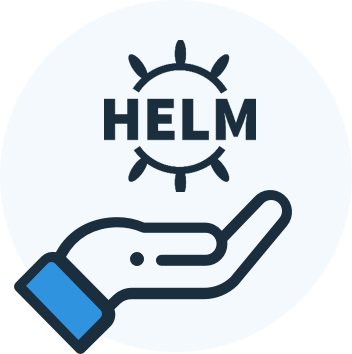 Add a Helm Chart feed and start deploying! 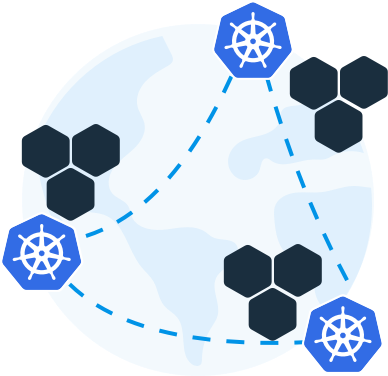 Deploy to multiple Kubernetes clusters around the world with multi-region deployments. Deploy to one cluster or hundreds using a single deployment process. Deploy to multiple Kubernetes clusters around the world with multi-region deployments. 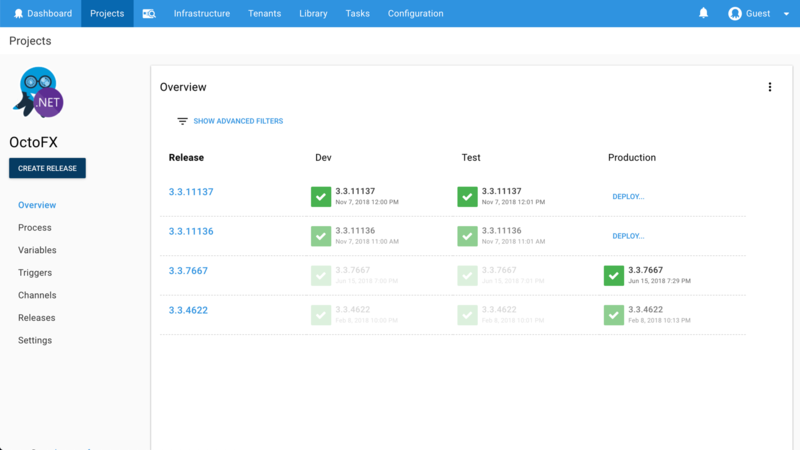 Create releases and deploy to one cluster or hundreds using a single deployment process. 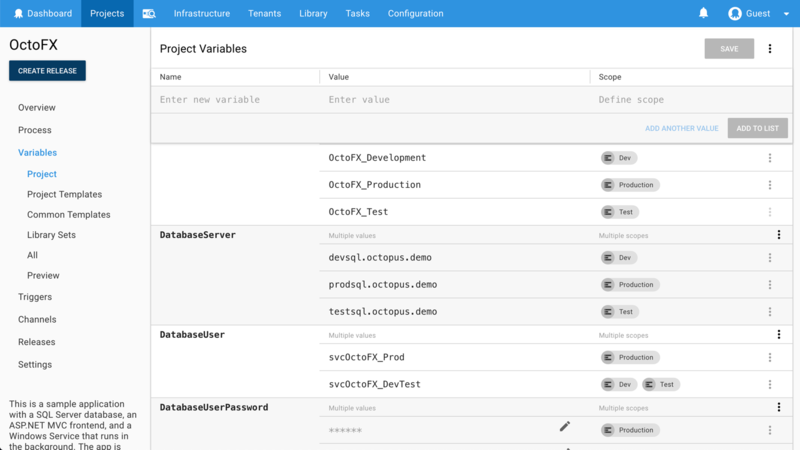 Octopus is built for teams of all sizes with a powerful permissions model so you can customize the permissions and security of your team’s infrastructure and deployment processes. Give team members the permissions they need by sharing or restricting access to Kubernetes clusters, accounts, or projects. Octopus has robust support for deploying applications through custom lifecycles. Some teams deploy through many environments like development, test, QA, staging and production whereas others simply go through staging and production. Octopus makes this easy to customise to suit your team's needs. This gives you the ability to ensure you deploy through the right flow. Add and manage your configuration variables in a single place and scope them to your environments. This makes it easy to deploy to any environment and be confident your configuration is correct. Octopus includes rich support for updating Microsoft application setting files, JSON configuration files, YAML and pretty much any other text file. This eBook will take you from zero infrastructure to a functional multi-environment cluster with repeatable deployments that will scale as your teams and applications grow.